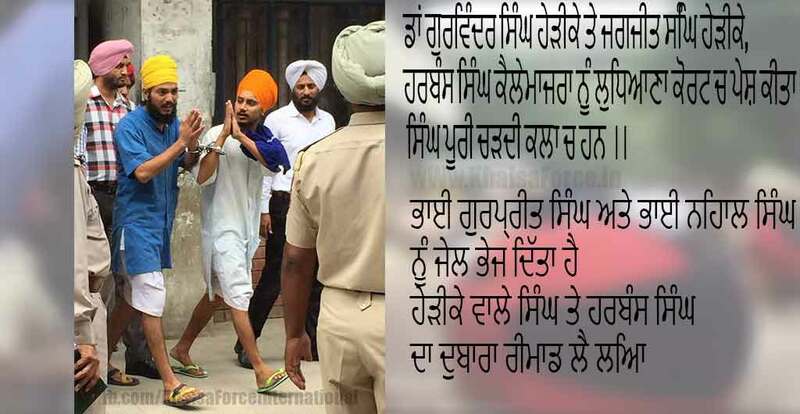 Harbans Singh, Gurwinder Singh and Jagjit Singh has been send to Police Remand for One day tomorrow hearing . Ludhiana: Five persons arrested in relation to Ghawaddi case were presented before a duty magistrate in Ludhiana today, who sent two of them, namely Gurpreet Singh and Nihal Singh alias Jaspreet Singh, to judicial custody while police remand of three others was extended for one more day. Notably, Gurpreet Singh and Nihal Singh (alias Jaspreet Singh) had surrendered before a local court after their name had emerged in relation to the killing of Ghawaddi village resident Balwinder Kaur. Balwinder Kaur was accused in a case related to Beadbi of Guru Granth Sahib in Ghawaddi village in October 2015. 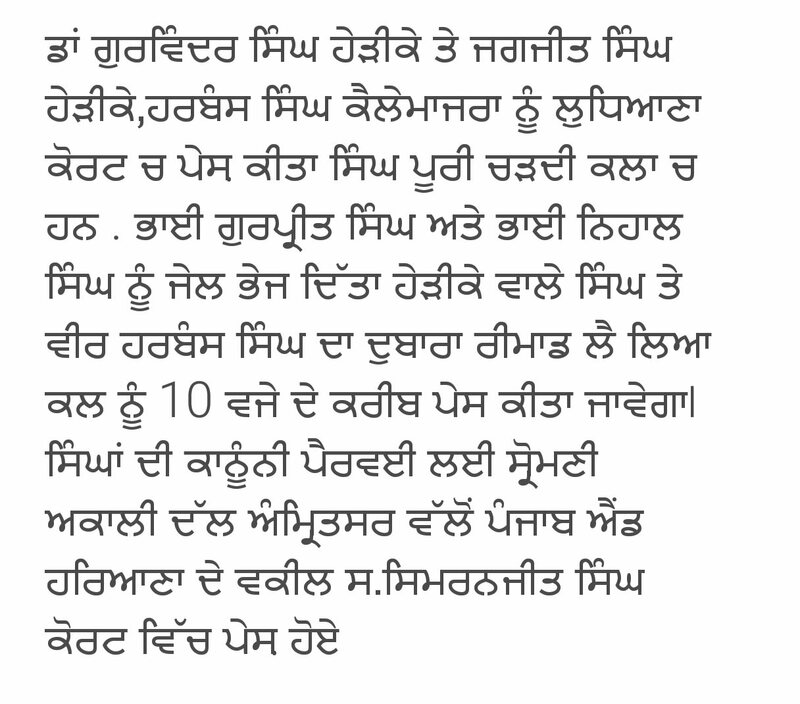 Namely, Harbans Singh, Gurwinder Singh and Jagjit Singh has been arrested. The police have indicted the trio under provisions of UAPA (Unlawful Activities Prevention Act) by accusing them of receiving funds from abroad to commit unlawful action in Punjab. They were also sent on Police remand .